Resin casting is best described as pouring a liquid synthetic resin into a pre-constructed mold. 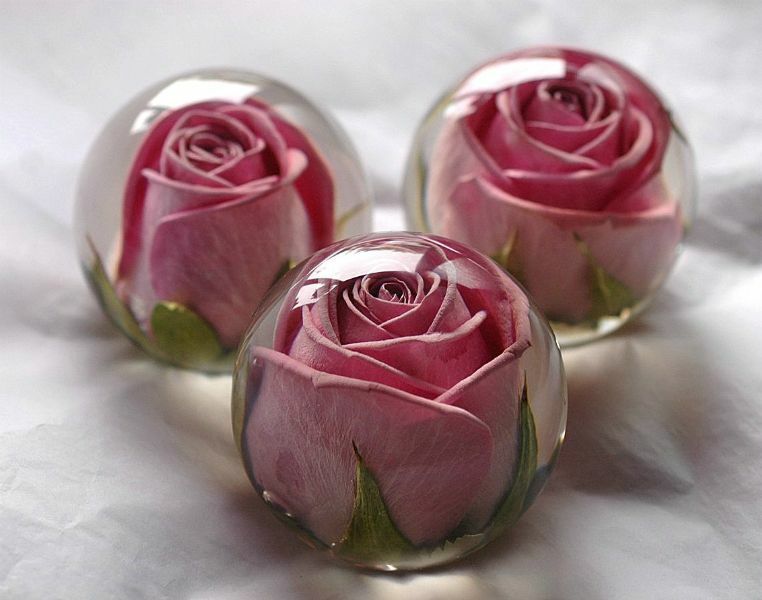 Resin molds can be bought or purchased for any desired object you want to create or duplicate. The liquid then hardens during a specified timeframe, dependent on the type of resin being used. Once the mold hardens, you now have your desired object which you remove from the mold. Resin is comprised of liquid, which then undergoes a chemical reaction to form a hard plastic. It serves as a precursor to the solid forms. Resins casting kits usually come as a two-part system. There are two liquids in the kit, one is the resin and the other is the hardener that solidifies the plastic when mixed together. Resin (in the liquid form) undergoes thermosetting, which strengthens (hardens) the liquid plastic when heated. However, they cannot be remolded or reheated after the initial heat forming. They transition from liquid to solid by way of polymer reactions called cross-linking forming molecular chains that become strong and rigid. The higher cross-linking results in a harder polymer. Resin kits or processes consist of two components, part A and B. The A portion is the resin while the B portion is the hardener. They are precisely weighed or measured by volume and then thoroughly mixed to creature the cure. Resins come in various types that differ in composition, working periods, cure time, viscosity, smell, hardness, cost, and applicability, depending on your particular project. Casting molds also come in a wide variety such as silicone, polyethylene, Formica clad wood, or metal clad wood, PVC pipe, and HDPE/UHMW plastic cutting boards. Many resins will cure in under an hour; however, some can cure in as little as 10 minutes. This allows you to cast several pieces is a day. In gravity casting, material is transferred via pouring into a mold from the top, which then hardens over a period of time. Gravity causes the liquid to flow all the way to the bottom of the mold. As a result of gravity, liquid fills the mold starting from the bottom to the top. The material then hardens into a single hard piece. 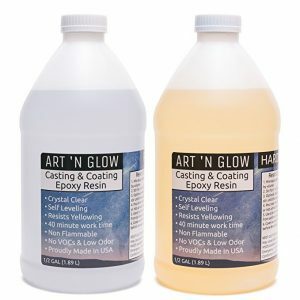 Art N Glow Casting Resin is by far one of the most popular pourable clear resins. Art N Glow serves not only casting applications but coating as well. For example, this can be used to pour over a table top or bar top. Because of its thicker viscosity, when compared to other table top epoxies, it also functions as an excellent casting material. Environmental Technologies offers a clear casting craft epoxy. This 1:1 mixture is easy to use and perfect for polypropylene or rubber molds. 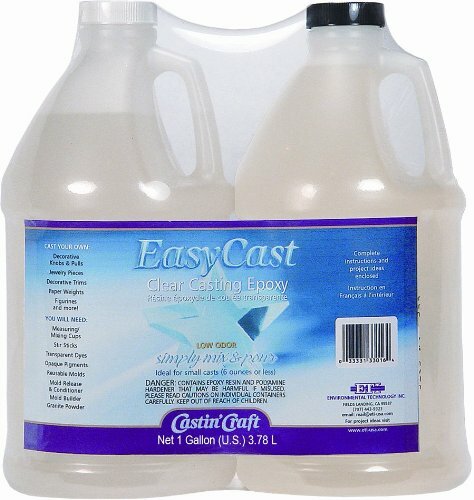 Easy Cast is the perfect kit for do-it-yourselfers as it is low odor, solvent free, and transparent. 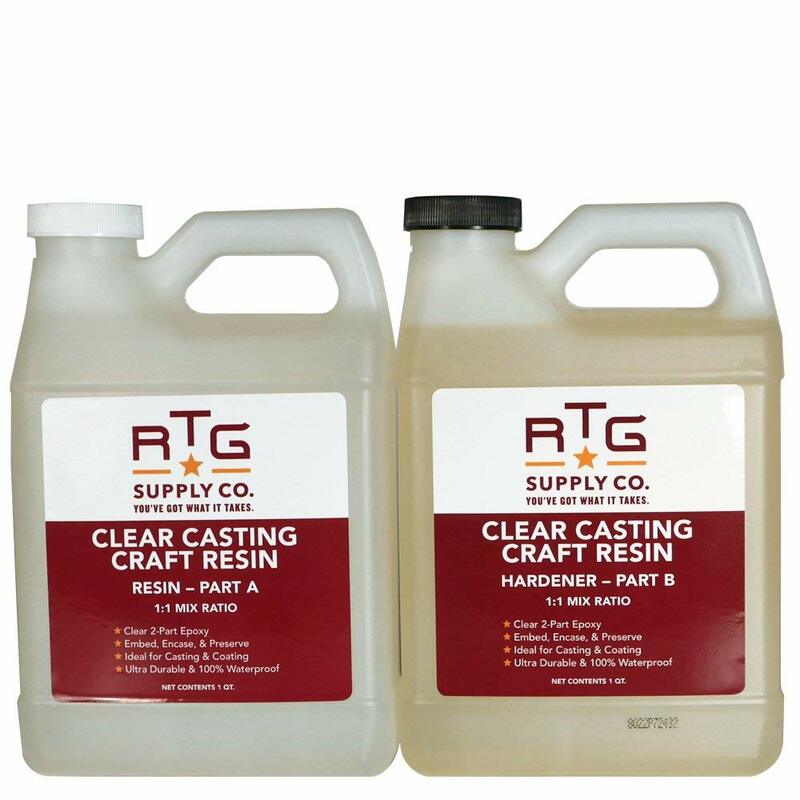 RTG Supply also offers a clear casting craft epoxy. This is another easy-to-use 1:1 mixture that is self-leveling and 100% waterproof. This is also compatible with pigments and dyes to give your projects the perfect color or hue. It dries to a glass-like finish. Available in a 2-quart or 2-pint kit. Resin is used to produce various items including replicas, dentistry items, toys, automotive restorations, crafts, artistic statues, small mechanical parts, industrial prototypes, props, medical instruments, small-scale jewelry production, artifact preservations, and architectural uses. 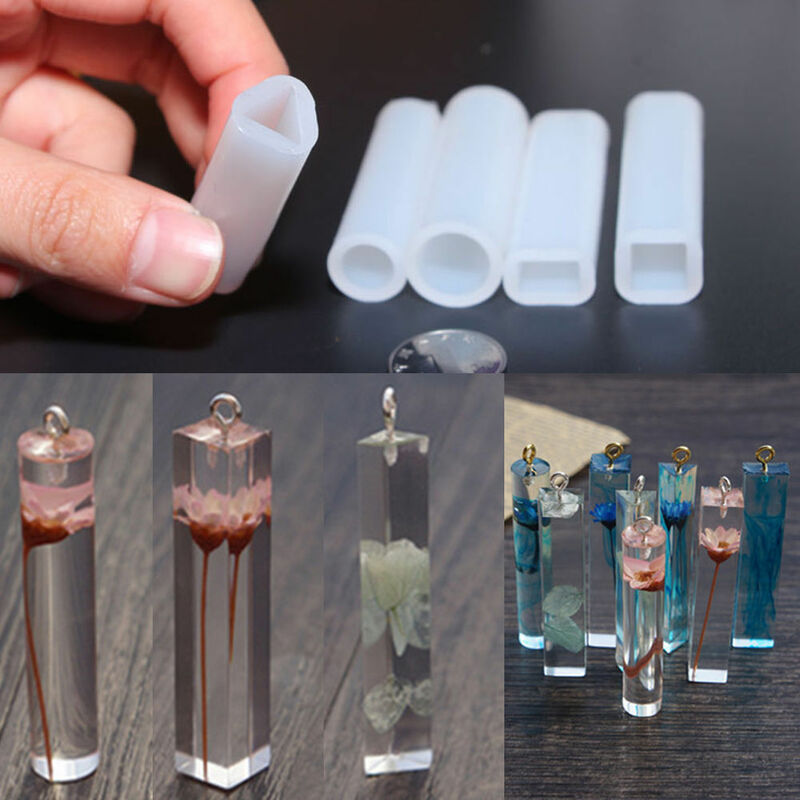 There is a large variety of different uses of casting resin. In addition, there are many materials that are called resin for art and crafting applications. Resins are often the best options for casting small, delicate or highly detailed forms. Preparation is key to a perfect casting. Be sure to establish a clean working area and read the technical data sheet, safety data sheet, and the instructions prior to beginning work. Usually, poor results are a direct result of not mixing the 2 parts properly or thoroughly. Also, be sure to have all of your tools handy as the resin should be poured immediately upon mixing. There are two ways to measure resin; one is by weight using a scale, the other is by volume using measuring cups. Casting resins then have a predetermined mix ratio (e.g., 1:1 mix ratio). You will also need mixing cups. Make sure to have a paper mixing cup that is not wax coated or, alternatively, use a plastic mixing cup that doesn’t have any ribs around the sides of the cup. You also don’t want to use any Styrofoam cups for mixing. Your cup will likely not be able to be reused, so be sure to use a mixing cup you won’t mind disposing of. Once you have the appropriate cups, measure out the ratios (either by volume or weight) starting with the resin. Measure the appropriate amount and pour into your mixing cup. Next measure out the appropriate amount of the hardener and add it to the mixing cup. You will then need to slowly and continuously stir with the stick provided in your kit until the mixture looks homogeneous and for the time specified on your kit. Once the resin and hardener are completely mixed, then you will need to grab your mold and slowly pour in the mixture. Wait until the mixture has hardened in the mold and then remove the object(s) from the mold (cure time is dependent on the specific casting resin you are using). How Easy Is It T​o Use Casting Resin? 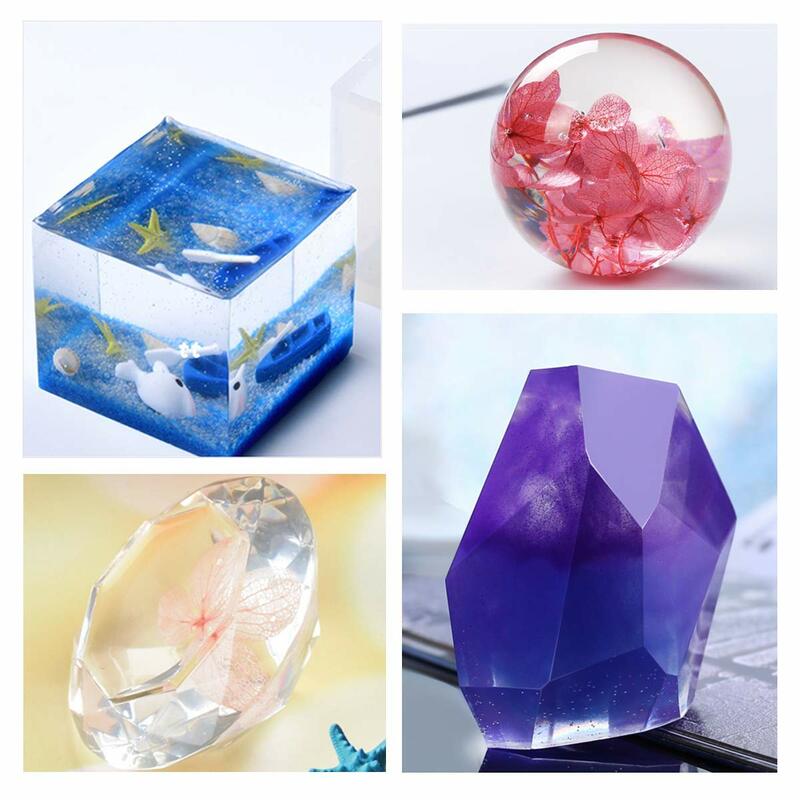 Amateur hobbyists can complete casting resin projects with little investment, however, should always practice with test projects first, especially if having never used casting resin. This is particularly important if casting sentimental pieces that are irreplaceable. There are minimal materials required. In addition, instructions and usage of the products are simplistic. Its beginner-friendly, but the process is fast paced (curing time is dependent on the type of resin you used) so preparation is extremely important. There are different types of casting resin so starting with an “easier” method is recommended for beginners. Casting resin is an easy process with minimal steps. The biggest time investment is usually spent deciding which type of resin/mold to use and getting materials organized before beginning the project. In addition, be sure to dress and protect yourself properly against any health hazards associated with the resin before starting and take adequate precautions. The biggest thing that can go wrong is using too much of one part and not enough of the other, which can either lead to a casting that’s super brittle, or a cast that doesn’t fully set. Ensure you are accurate when measuring your ratios and mixing thoroughly will ensure a better end product. Start by deciding what type of resin you want to use, and the mix ratio will be specified on the supply box (e.g., 1:1 ratio). Collect your supplies. You’ll need a mixing cup with volume measurements on the side, popsicle or paint sticks to mix with, your resin of choice, your mold, and whatever colorant you’re using (if applicable). Follow the mixing instructions of your resin. Thoroughly mix the two parts together and then pour your resin into the mold. Your resin instructions will specify how much time is needed to cure, at which point you can remove the newly cured item from the mold. This simple and quick process makes resin casting ideal for DIYers such as hobbyists and crafters. Resin casting on a professional level is more commonly seen in industries such as dental and prototypes. Professionals can have specialties in custom castings, clear casting, sculptures, designing complex molds, large architectural castings, and more. Professionals can also produce a variety of plastic parts for testing, sales and marketing samples, and small-scale production. The various types of resin casting have increased a demand in professional sectors (e.g., aerospace, marine, and automotive). A good casting resin is completely dependent on what you are trying to produce. There are different types of resins and you must first evaluate the goal of the project and end product. 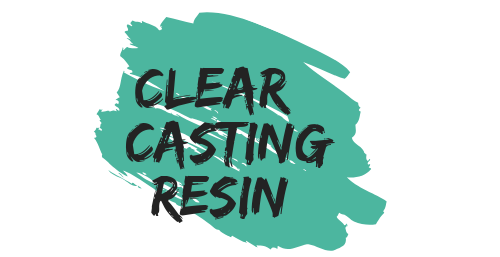 Resins have varying costs, clarity, durability, UV resistance, density, surface quality, hardness, toxicity, and ability to hold fillers, and color ability. Polyester, epoxy and polyurethane are a few examples of casting resin you may be familiar with. Polyester casting has a relatively fast working time of 15-30 minutes, a cure time of 24 hours, a thin viscosity, cures hard, and a toxic odor, which requires good ventilation. Polyester casting is good for embedding certain objects and making jewelry. Epoxy casting material composites are similar to polyester with some differences. In general, epoxies tend to be more resilient and physically durable than polyester but are not as clear. A drawback to using epoxy resin versus polyester casting will be cost, optical clarity, ease of use and UV stability. However, working with epoxy is less toxic and more user friendly. Polyurethanes have superior hardness compared to polyester and epoxy casting. Benefits of polyurethane adhesive bonds are that they have good impact resistance, the resin cures rapidly and there is no smell. Polyurethanes offer outstanding clarity. You can expect them to have excellent thermal stability and high heat resistance. Additionally, they have ultra-low viscosity.